Oh boy, it has been almost a month since I last blogged! Eeps. School has been really hectic and I didn't want to blog half-heartedly (Thank goodness for Juliet who proofread my last few entries! My grammatical mistakes were... Extremely embarrassing.). Hence, the absence. Anyway, I'm down to my final 2 assignments (Hurray!) so get ready for an influx of entries! 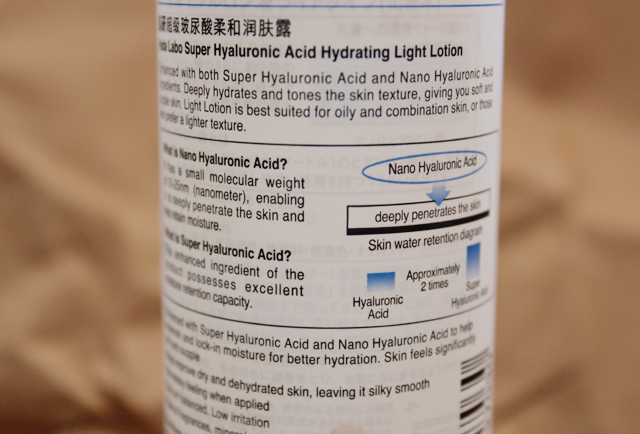 Anyway, here's a review of the latest Hada Labo product, the Super Hyaluronic Acid Hydrating Light Lotion. Just like the original version (Read the review here. 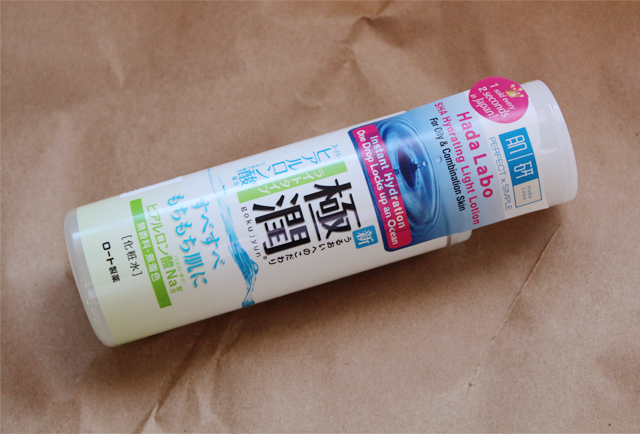 ), this one contains both Super Hyaluronic Acid and Nano Hyaluronic Acid ingredients. The former possesses excellent moisture retention capacity and the latter comes in small molecules of weight 15-25 nanometre. The duo penetrates deep into our skin, hydrating it intensely and toning its texture. This leaves us with skin that is soft and supple. The light version is meant for oily or combination skin, or for those who prefer a lighter texture. Hada Labo users who found the original version too thick will definitely find love in this light version. It flows like water and sinks into the skin a lot faster (Even faster than the original version in nano formula!). 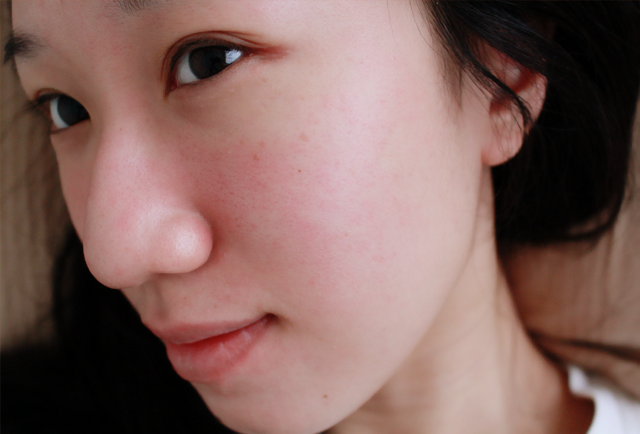 I apply it after cleansing my face, with patting motions. The Hada Labo Super Hyaluronic Acid Hydrating Light Lotion (170ml) is available at Watsons, NTUC, Guardian, Sasa, BHG and Unity at $22.90.